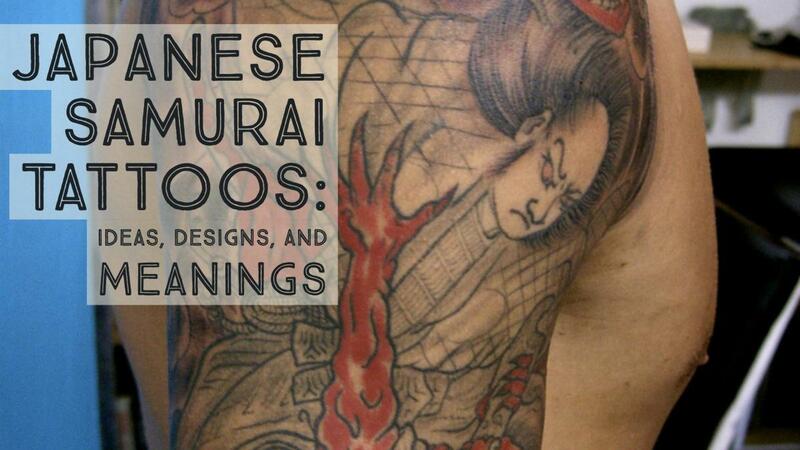 One of the many popular mythical creatures of Japan’s legends, the Japanese Fox is a well-loved tattoo icon. Be it with a single tail or nine, the Kitsune is often cloaked in an air of mystery. 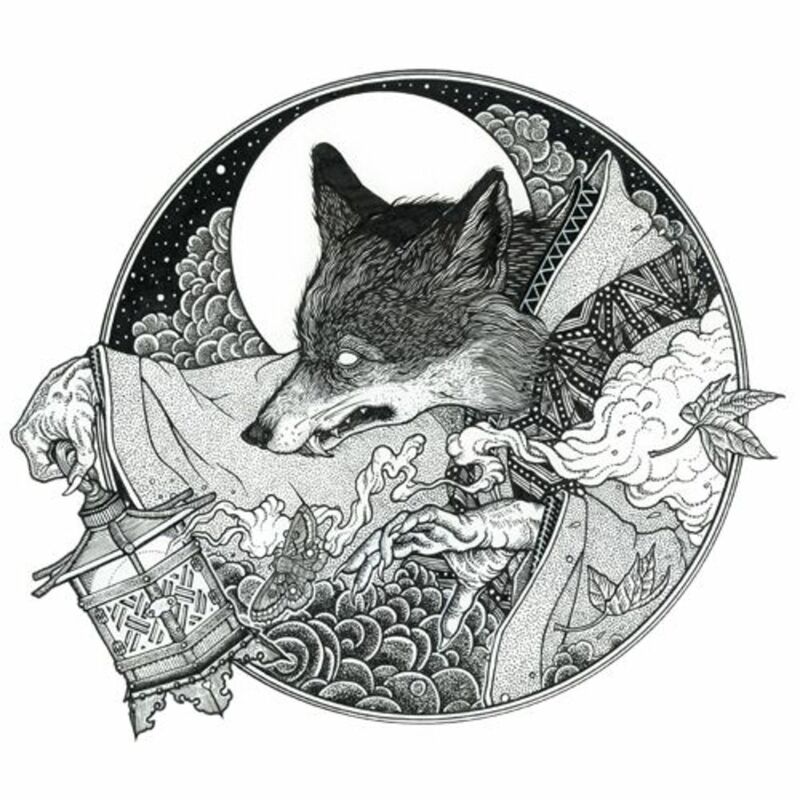 This mystical fox-spirit appears as a yōkai (an umbrella term for supernatural creatures and demons) in Japanese lore, and also as a celestial being worshiped at Shinto shrines. So wait—is the fox spirit actually good or bad? 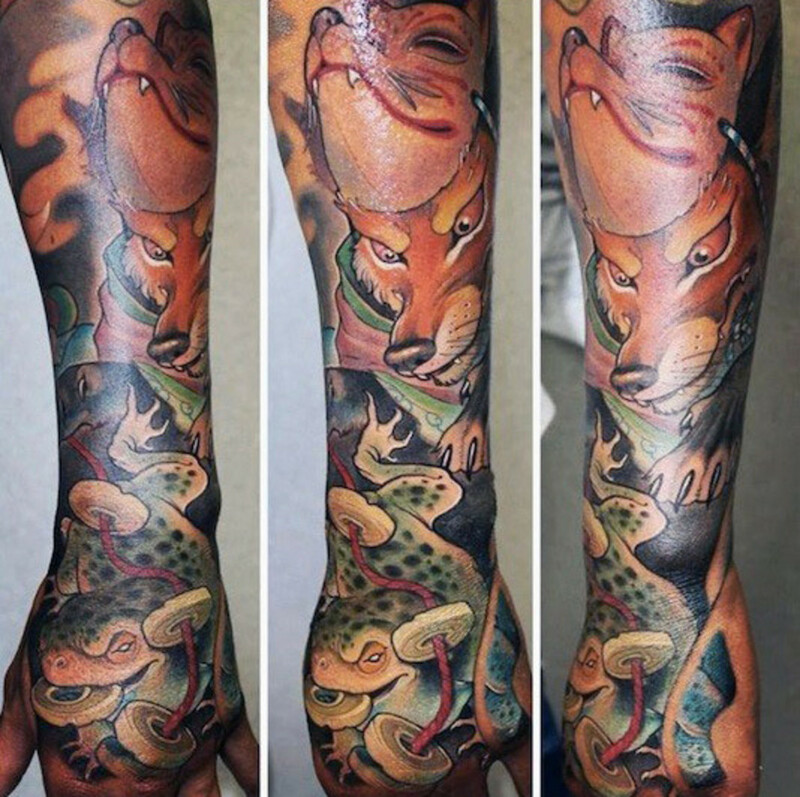 Let’s explore the many different kinds of foxes you can incorporate into your tattoo. Is the Kitsune Good or Evil? 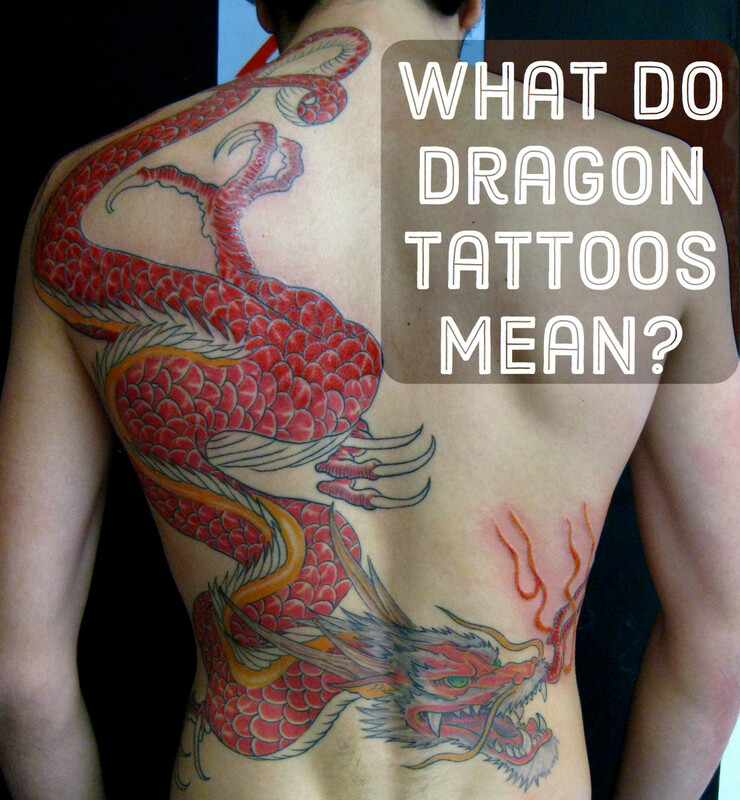 Chinese and Japanese mythology are very often closely related and entwined. You will see that a lot of the folklore surrounding kitsune have their beginnings in ancient China, with their stories trickling down to Japan and Korea. 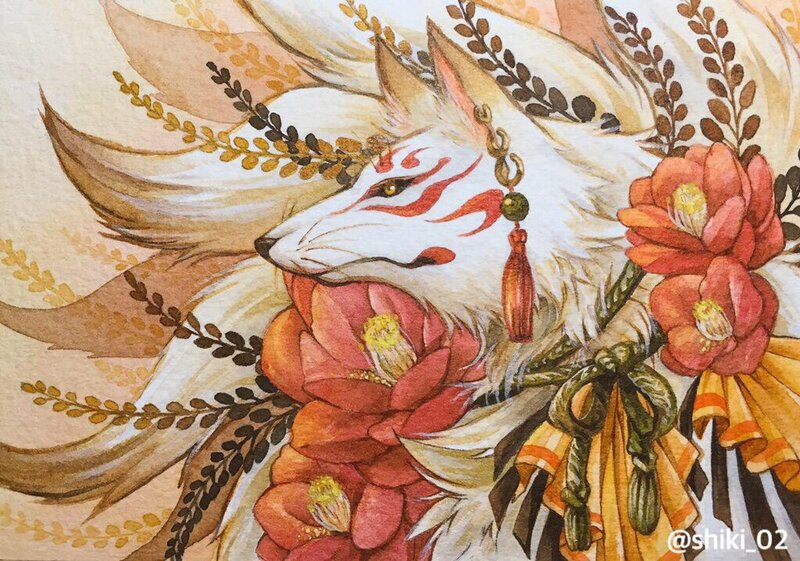 Tales of tradition has it that the kitsune can be categorized as either good or bad; Zenko (善狐 = good foxes) and Yako (野狐 = wild foxes; inherently and non-inherently bad), both of which are highly intelligent animal spirits. 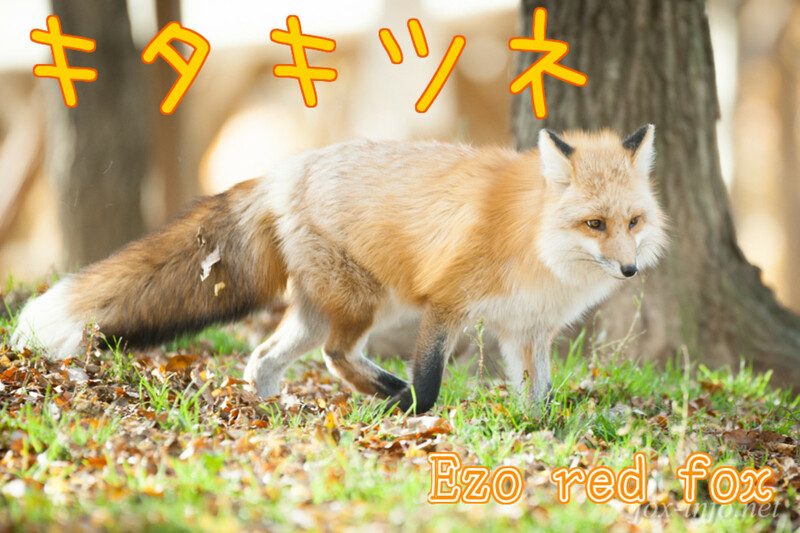 Zenko kitsune are good-natured creatures, often closely linked to Inari Okami, the God of Harvest. “Good” foxes can also be protective defenders, or work hand in hand with humans when respect goes both ways. 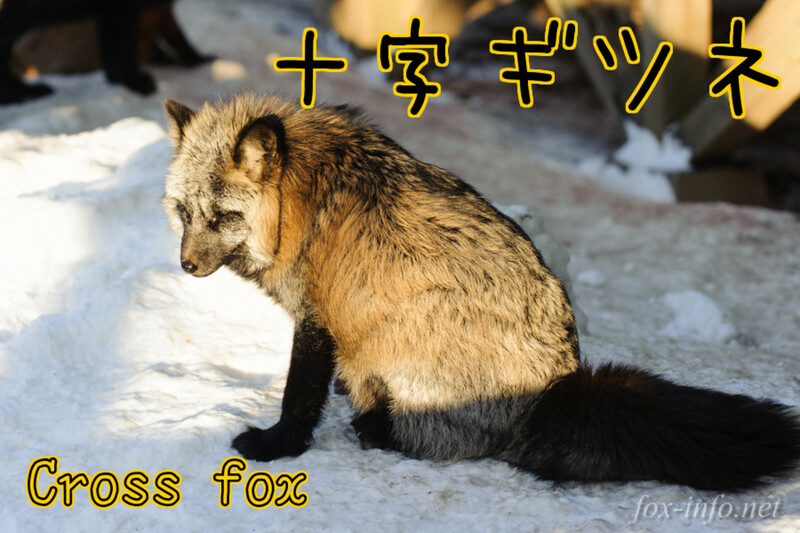 Stories tell of zenko foxes who would help safeguard households and their properties (such as farms or stalls) and other valuables. Some were even said to have came to the aid of innocent humans harassed by evil foxes. Yako foxes are single-tailed, mischievous tricksters and sometimes believed to harbor malicious intent. The idiom “sly as a fox” is used to describe a person who uses his cunning and wit — usually in underhanded ways — to achieve their goals. In that respect, the Japanese fox spirit can also sometimes be seen as a charming and mischievous swindler. However, how hostile and destructive a yako can be varies greatly from one kitsune to the other. Some yako kitsune will, at most, play pranks and tricks on humans with “impure hearts” (such as people displaying a great sense of greed, arrogance, tyranny etc). Notably, to humiliate them in front of an audience — regardless of their social hierarchy. Whether it’s a noble samurai or a common villager, villainous people will be punished for their wicked behaviors. Other nasty foxes will steal or disrupt the peace in villages. However, it is not beneath a cruel yako to create illusions and deadly entrapments with the intent to kill. 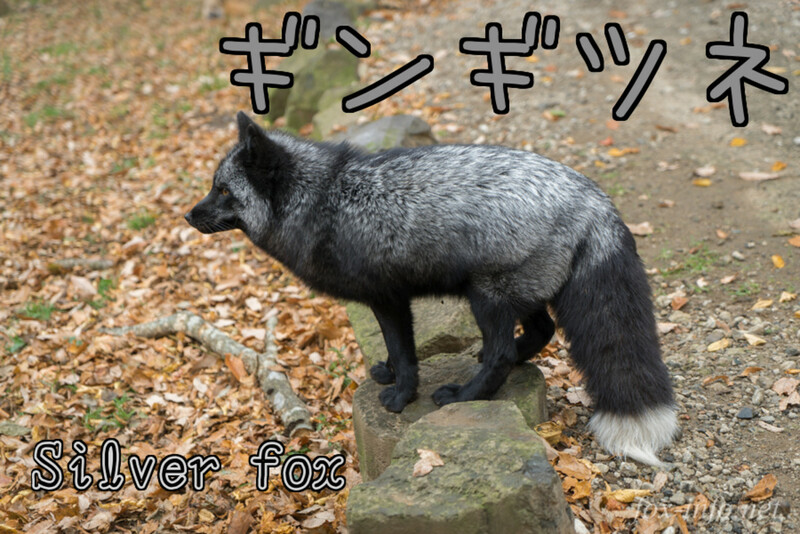 In Shintoism — a traditional Japanese religion — Myōbu (sometimes also known as Byakko) are white foxes with a single, fluffy tail. 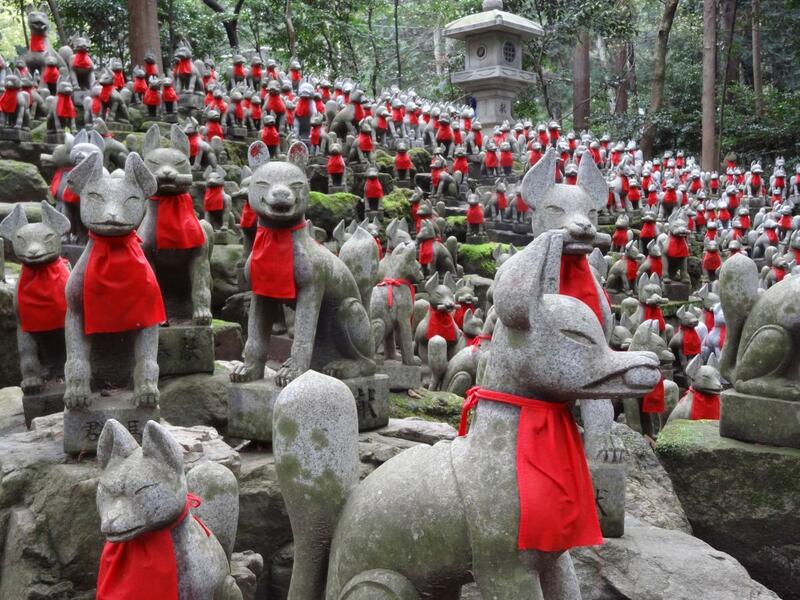 These foxes are the heavenly attendants of Inari Okami and protectors of the Oinari shrines. Inari Okami (also Oinari) is a genderless (sometimes depicted as either male, female or even as a collective group of gods depending on the region) deity of grains, agriculture, tea, sake and fertility, very often incorrectly thought to be represented as an actual animal deity. Because there are no effigies of Inari Okami and the only statues seen in the shrines are of foxes, many people think that Oinari is a fox when the Myōbu is actually it’s heavenly attendant. They are often seen as stone sculptures guarding the temple, wearing a red bib tied around their necks. Red is associated with dispelling illnesses and diseases, as well as banishing demons in the Shinto religion. Japanese people have their faces painted as foxes or wear kitsune masks to participate in Kitsune no Yomeiri, a festival in Japan that reenacts the “The Fox’s Wedding Celebration”. With years upon years of meditation and spiritual training, a kitsune will grow in wisdom and special abilities as they age. Once a fox reaches a hundred years of age it will grow an extra tail, with every century, it grows an additional tail. The more tails a kitsune acquires (with nine being the maximum), the more enlightened and powerful it becomes, but that does not necessarily mean an increase in compassion. 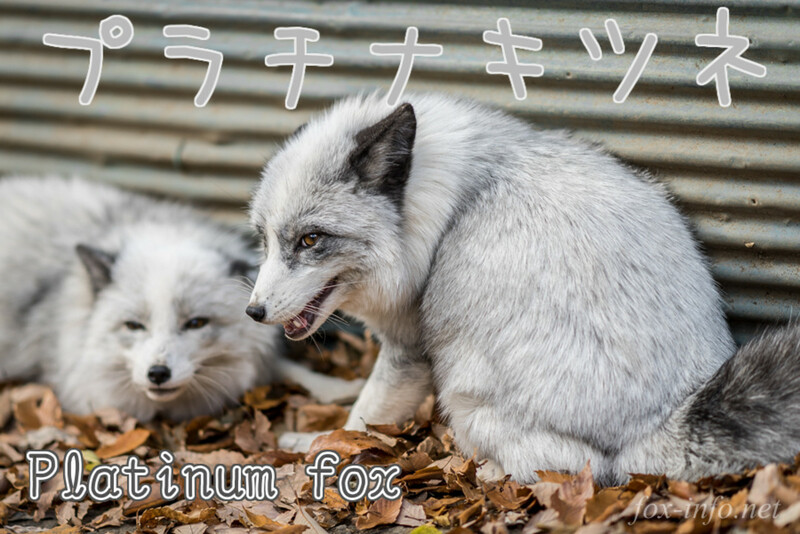 Similar to how there are good and bad fox spirits, nine tailed foxes can either be demons (九尾の妖狐; kyūbi no yōko) or kind hearted, sentient beings (九尾の狐; kyūbi no kitsune). After a thousand years on mortal earth, benevolent nine tailed foxes can ascend to the celestial court. A kitsune’s fur gradually changes color when it gains more of its tails, from it’s original coat to gold. And at the final ninth tail, benevolent zenko will have its golden fur transform into a silvery white color. 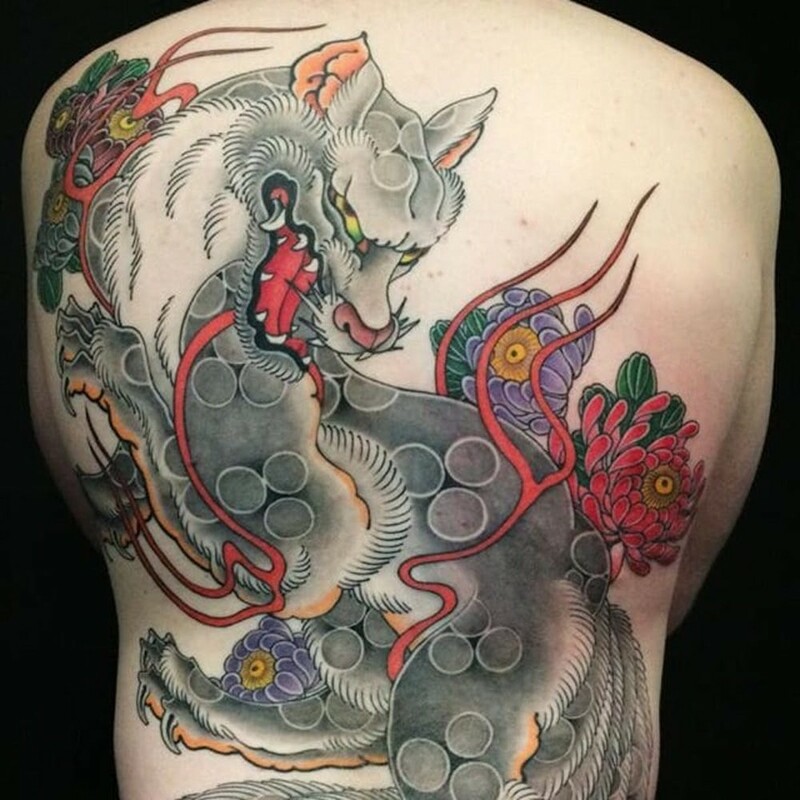 Legend has it that one out of the nine tails of a kyūbi no yōko is its “main tail” and can completely vanquish it, therefore to ensure a confirmed kill, one must cut off all of its tails. Transforming themselves into anything, such as giants or even appearing as a moon in the sky. Morphing into human form and back to their original appearance. Entering dreamscapes to manipulate or warn people. Hearing and seeing anything far and wide, as long as they attune their senses to it. Create grand illusions, such as making you think that you are in a magnificent house eating delicious food, when in reality you are actually sitting in a dilapidated, abandoned house eating bugs. 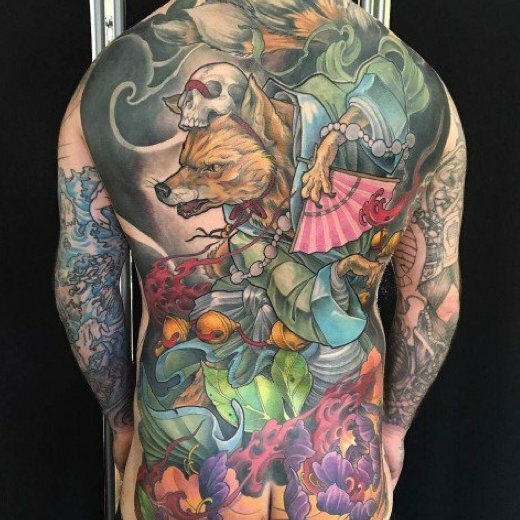 Kitsune and nine tail foxes can be tattooed in an array of colors, some are colored to personal preference, while others prefer to follow the traditional meanings. How to spot a kitsune? A kitsune in human form may still accidentally reveal their true identities when drunk, careless or surprised — usually by an unconcealed tail. Another way is to look out for their shadows! In many ukiyo-e (woodblock) prints many vixen spirits are drawn to cast fox-shaped shadows or silhouettes. Being prolific shapeshifters, the kyūbi no yōko (evil nine tail fox) are often known to transform themselves into beautiful, elegant and intelligent women who’d go on to seduce rulers or men of power. They do so in order to manipulate, control, or kill. Often throwing the nation into utter terror and chaos. In ancient China, a beautiful lady named Daji was possessed by a thousand year old vixen spirit. She goes on to bewitch King Zhou and caused the downfall of the dynasty. Daji was executed but the vixen spirit managed to escape to ancient India. There, she transform herself into Lady Kayō and enchants King Banzoku. After causing many deaths, she was found out to be a kyūbi no yōko. Once again, she had to flee back to ancient China. Once she got there, she possessed Bao Si and enthralled King You where she had been said to cause a successful invasion and was chased out by the military. 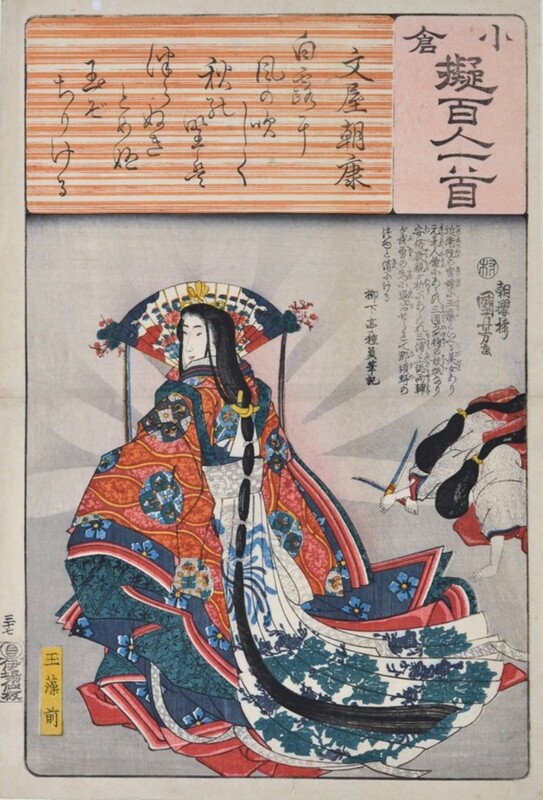 The kyūbi no yōko reappeared in Japan as Tamamo no Mae, who went on to charm Emperor Konoe, and made him severely ill. Her true identity was eventually revealed by an astrologer. The emperor then ordered an assassination of Tamamo no Mae where she was finally killed by two very skilled warriors, Miuranosuke and Kazusanosuke. On her last dying breath, she transformed into a cursed stone — Sessho-seki (Killing stone) which emits poison gas and killing anyone too close. 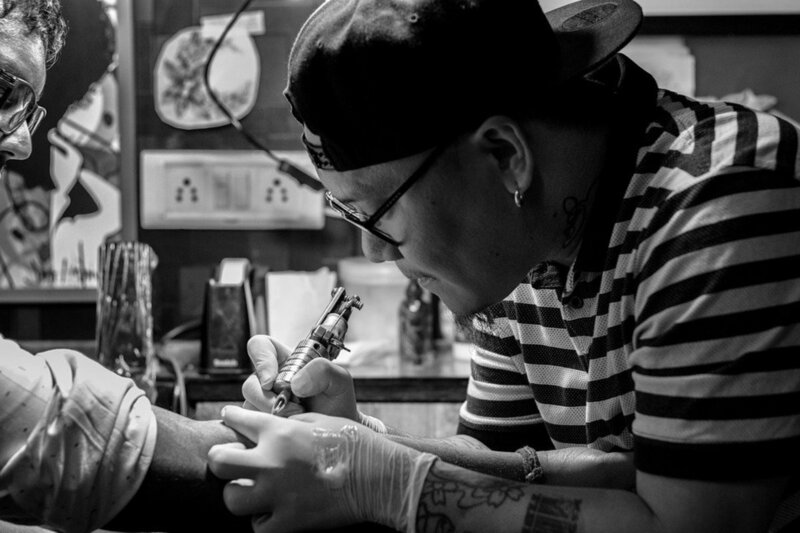 Most Japanese fox tattoos come with other accompanying symbols, a regularly seen one would be a skull worn over the kitsune’s head. 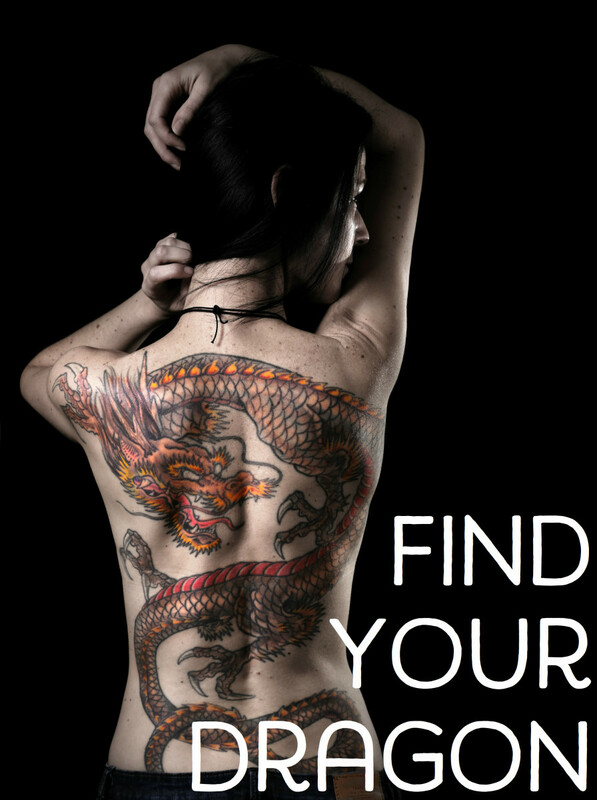 Others see a kitsune clothed like a geisha, but what do they actually mean? 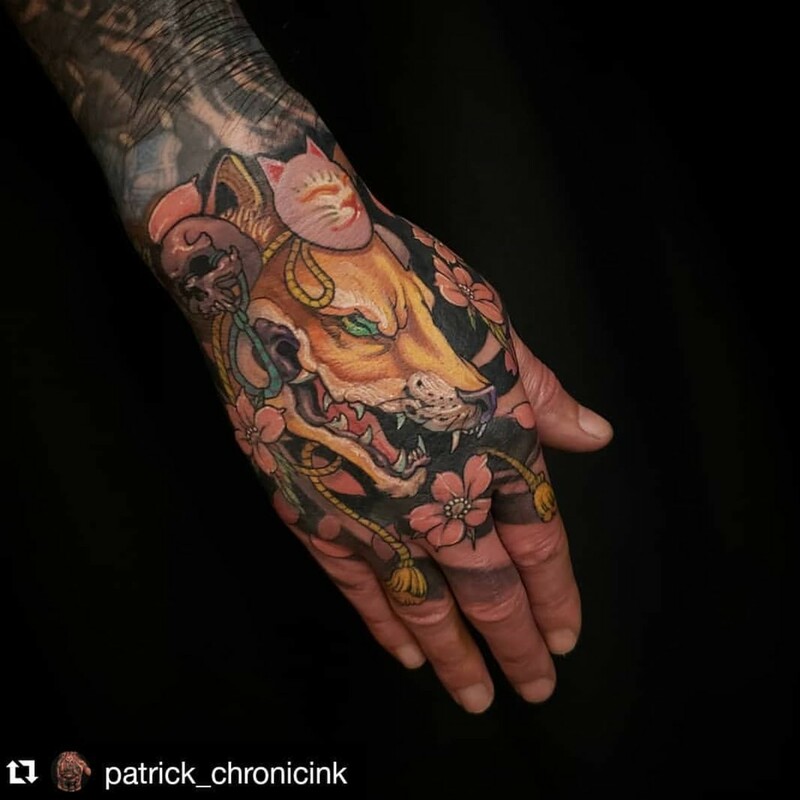 Skull (around the kitsune): Associated with death and the netherworld, the skull represents change — in a poetic and figuratively way — a part of us dies in order for the new to surface. Much like a rebirth. It is also closely linked to the supernatural and unexplained. Skull (underneath the kitsune): When the kitsune is standing on a skull (can also be shown with a paw over it), it assumes a dominating stance. In that regard, it can be implied that death and the unknown is not to be feared. Skull (on kitsune’s head): When a kitsune reaches 100 years old, they develop the ability to morph into human form. However, to do so, the kitsune will require a skull or leaf a top it’s head for the transformation to take place. 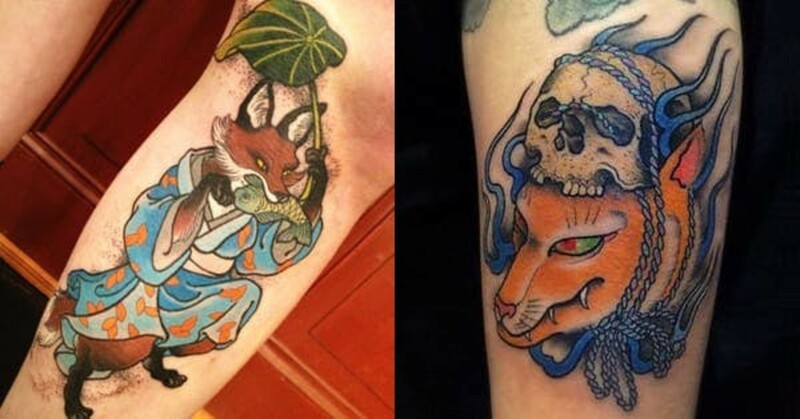 To have a skull placed on the kitsune’s head would also mean that your fox has at least a century’s worth of wisdom. 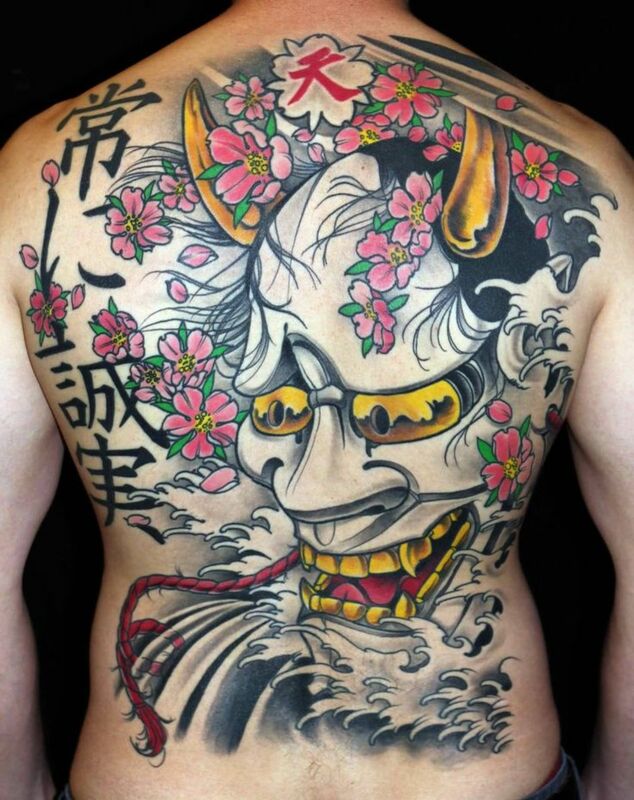 Kitsune Mask: Like the Hannya mask, kitsune masks have its roots in traditional Japanese performing arts. Actors would wear kitsune masks mainly when performing in Kyōgen (a comic intermission between Noh acts). 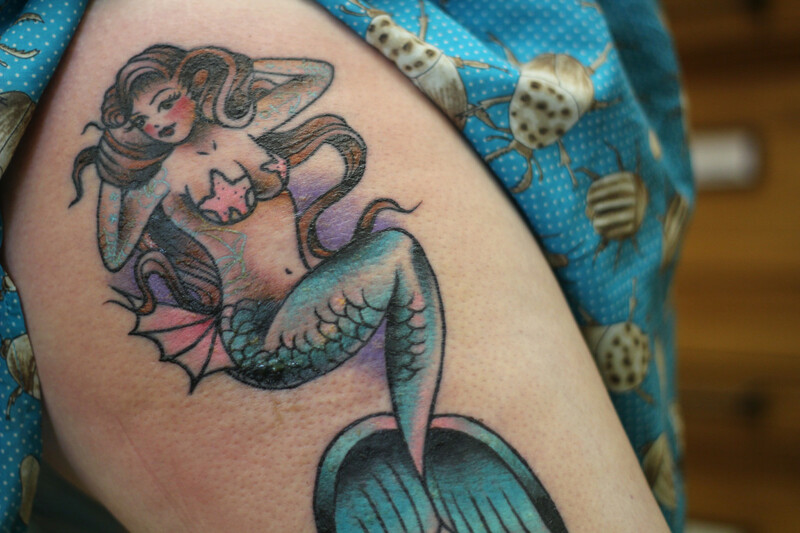 This tattoo can imply a person full of whimsy, a little mysterious and very playful. Kitsunebi: Literally, “fox-fire”. They are mysterious floating flames produced by a kitsune’s breath or by flicking its tail. They can lead humans out of danger or lure them to doom. Kitsunebi can also be seen when groups of kitsune are together, example in celebration of the Fox’s Wedding or New Year’s Night. 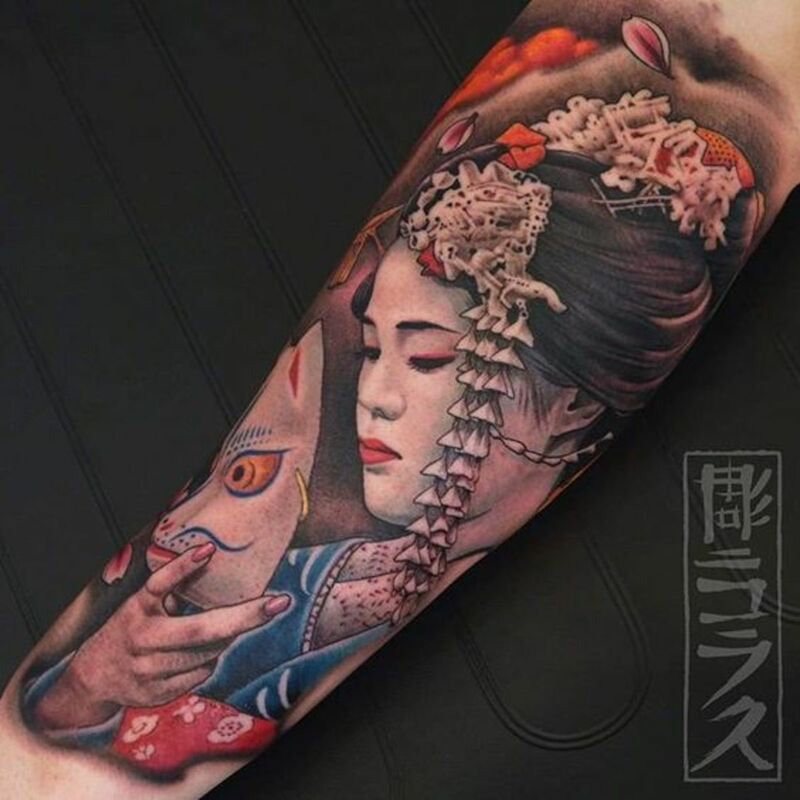 Geisha: Just like the mysterious and alluring geisha, the kitsune (especially those with nine tails) are wise, otherworldly creatures of complexity. 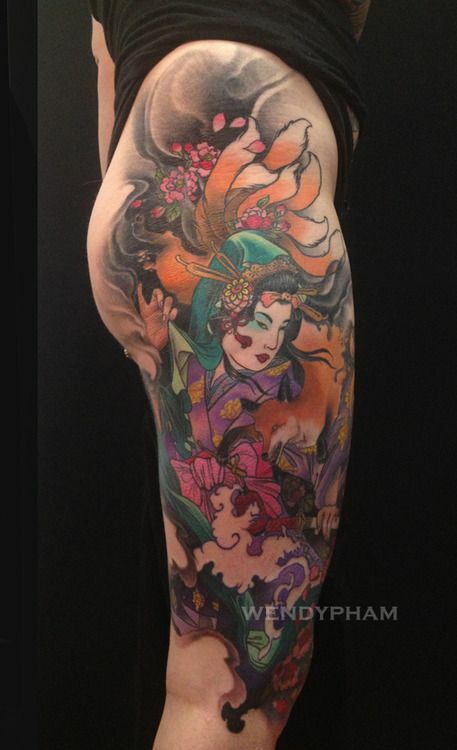 A kitsune and geisha tattoo (or a kitsune as a geisha) represents a woman of wit, who has an air of secrecy. On a man, this combination could represent his preference for attractive women with poise. 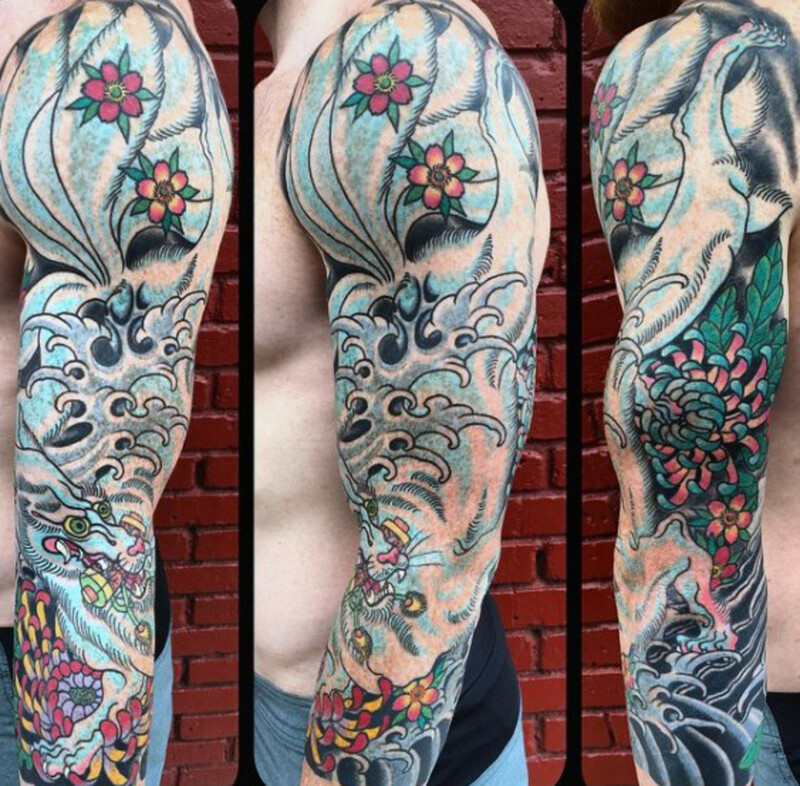 Beautiful Lady: As with the story of Tamamo no Mae, the underlying trait that the kyūbi no yōko had in her various manifestations was her profound beauty. To merge a beautiful woman with fox tails or a kitsune would mean that we should be mindful how beauty alone can ruin an entire kingdom, it is, as such, a powerful tool in itself. On women, this imagery can mean the desire to have both beauty and the intellect to utilise it. On men, it could portray a “playing with fire” mentality or a mindful reminder of it. 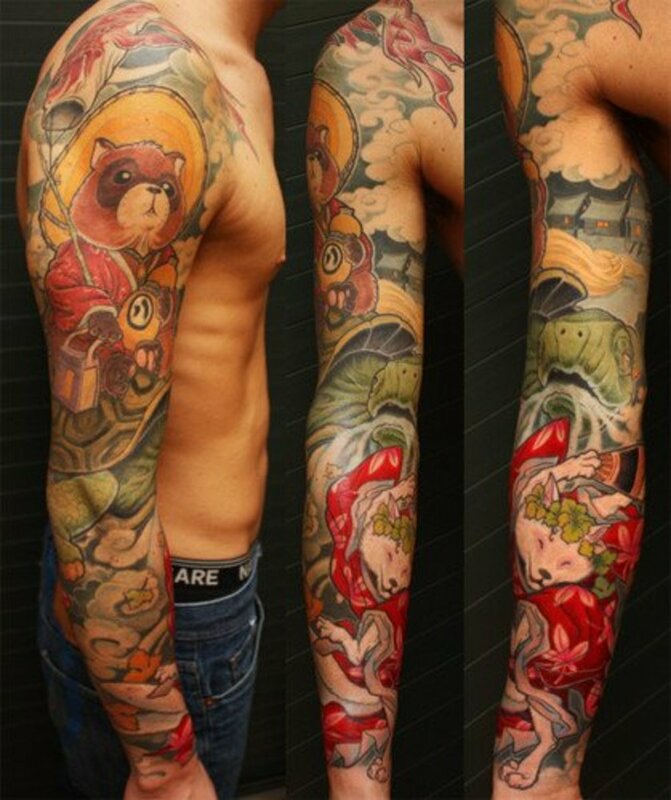 Tanuki: Tanuki are japanese raccoon dogs that are also magical creatures in the yokai realm. Tanuki and kitsune are said to have a common nemesis — the dog. However, tanuki are usually depicted as having magical standoffs with kitsune, rather than friendly alliances. Namakubi (severed heads): Namakubi has its roots in Imperial Japan where the heads of fallen enemy warriors are collected and presented to victorious leaders. 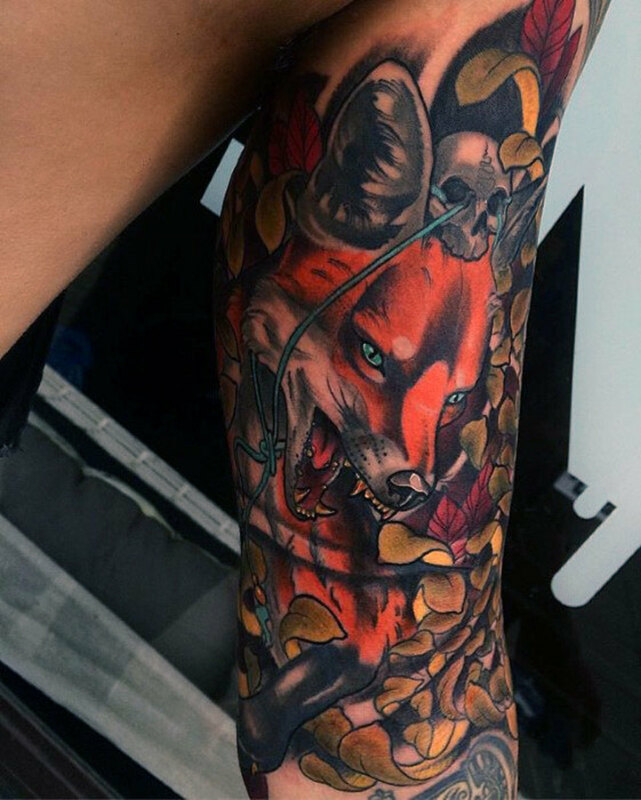 Some tattoos depict fox spirits with severed heads tightly clamped in their jaws. This can mean that the kitsune acts as a talisman in ridding one of the “enemies” in his or her life. 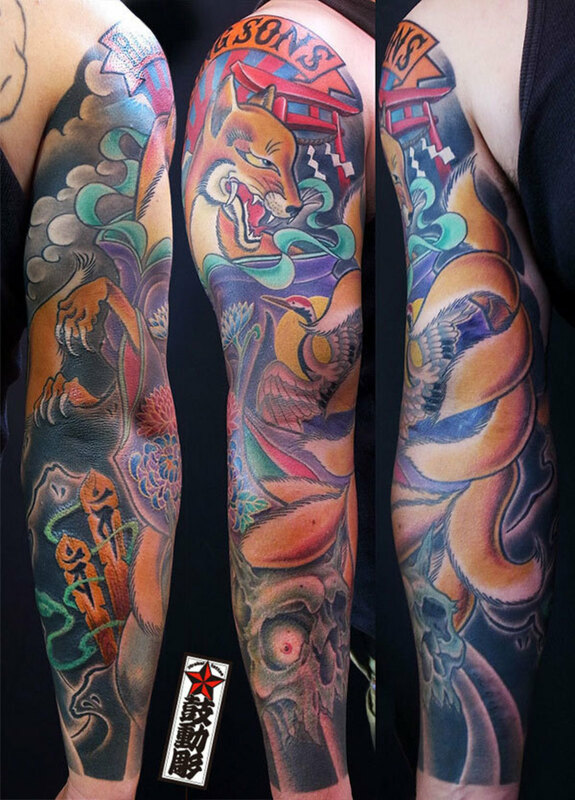 While the Kitsune is a Japanese Fox Spirit, we believe that it does not need to be contained within the Japanese irezumi style. 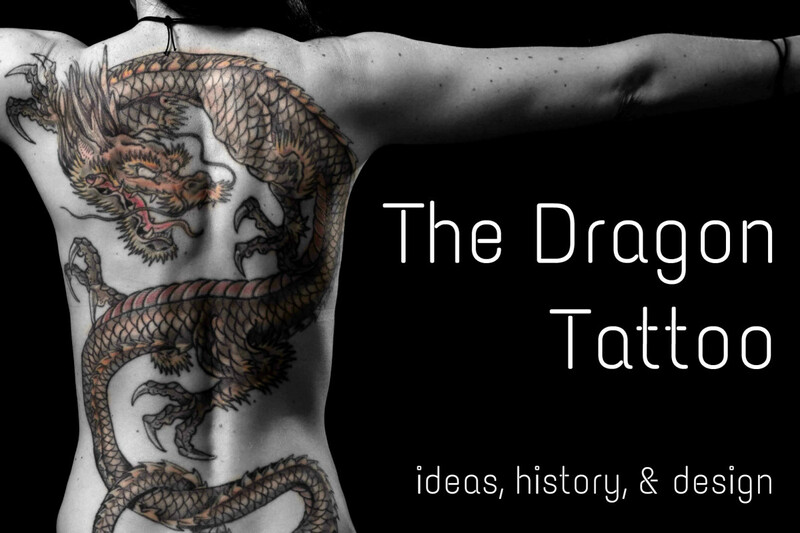 It can be adapted in to various styles and aesthetics without losing its roots. 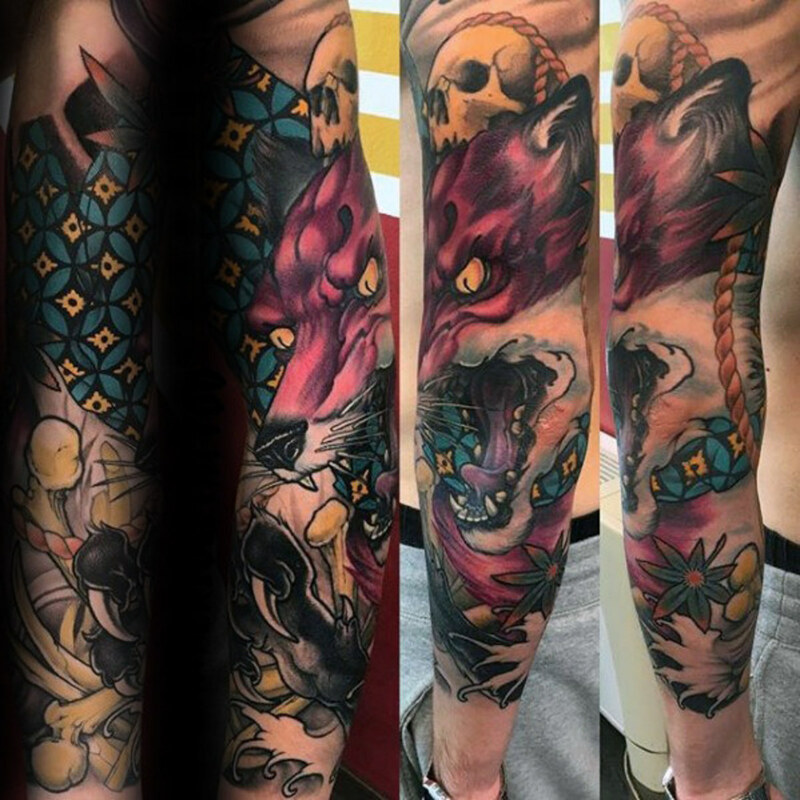 Below are some examples of beautiful Kitsune tattoos in the style of Americano, Realism, and that are still distinctively oriental. 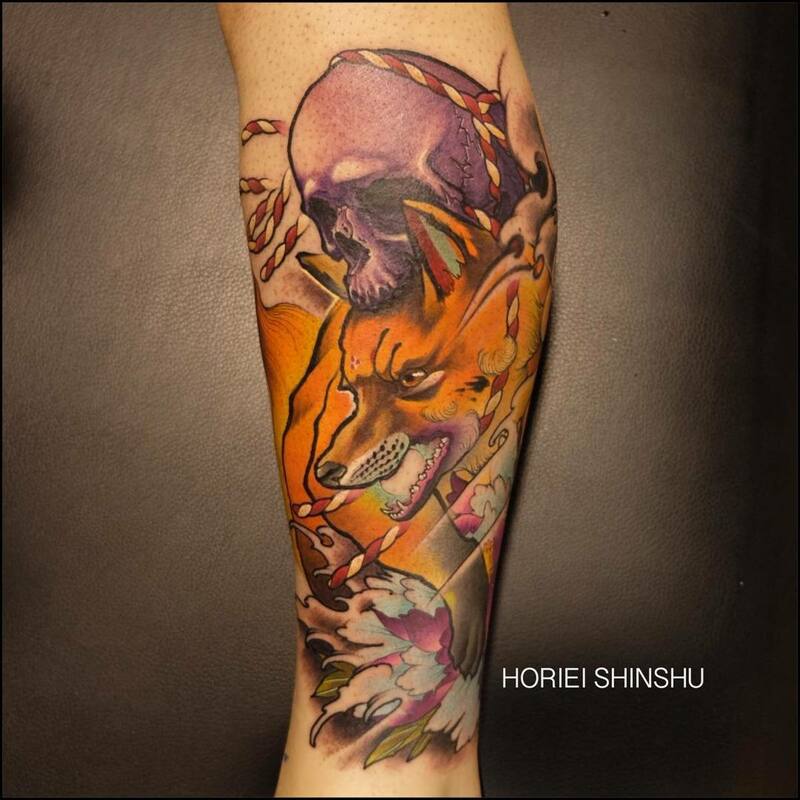 Are you thinking of getting a Kitsune tattoo? Yes, I find them absolutely charming. Nope, I prefer other designs. 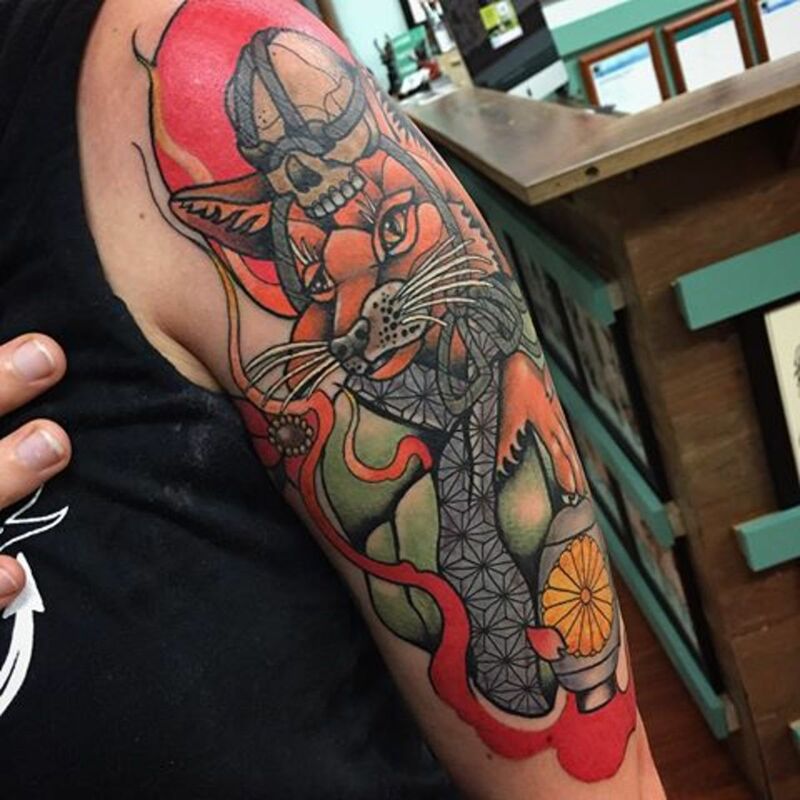 What color would the magic ball in my kitsune tattoo's mouth mean if I got it in a bluish white? Historically, only the highest ranking government officials were allowed to wear robes of certain colors. Blue was one of the colors (others include purple, orange, yellow, white and black), it was associated with benevolence in the social hierarchical rank system. Having a bluish Hoshi no Tama denotes that your kitsune is a Zenko. Additionally, blue is considered to be a lucky color in Japan!